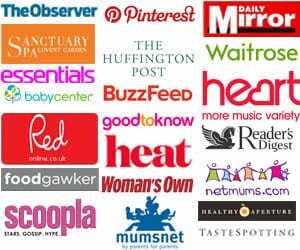 As you may know if you follow me on YouTube, I’ve been following the Slimming World plan for the last few months. Nothing too drastic, just trying to get rid of a bit of the wobble. Those lingering few pounds that make my trousers a wee bit too tight. I really believe in the principles of the Slimming World plan (a third of your plate as veg, plenty of lean protein and not too much bread) and I try to follow it in such a way that means not too much processed food. It serves as a reminder to make the basis of our meals full of homecooked good stuff, in a way that calorie counting just doesn’t (too much scope to use calories on Crunchies willie nillie). Anyway, I leaped off the wagon in spectacular style whilst we were away last month (BAKLAVA I LOVE YOU) and now I am back on plan. The sun has come out and so it’s salad time. I love salad, but seriously, what’s a salad without an interesting dressing? These are my current favourite, super simple, low fat, low syn dressings. I make these in my beloved Froothie Optimum 9200 blender. It makes them incredibly smooth and somehow, light and bubbly. So much so that you don’t miss the fat. It you don’t have a super power blender, you can use a normal blender, it may just take a while to get a really smooth consistency. Blitz everything together until smooth. Add enough water to loosen the dressing to the consistency you want. This is 1 Syn for the honey and 1 Syn for the wholegrain mustard, so if you serve 2 people, it's 1 syn per person. 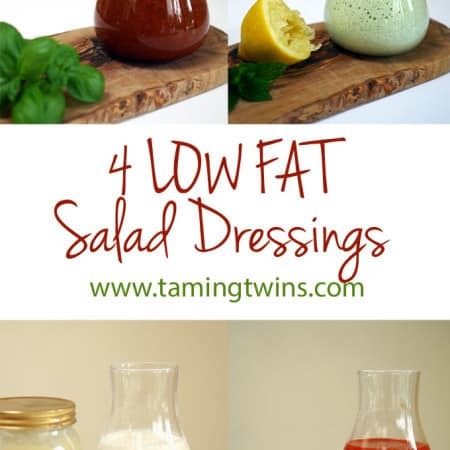 Whether you’re trying to lose a few pounds or not, I hope you enjoy the dressings. Here’s to a summer of sunshine and salads! Sarah, I love that — “just get rid of a bit of the wobble.” 😀 Something I’m going to be thinking about as soon as I can give it my attention. And I can try these recipes as soon as my new blender arrives. 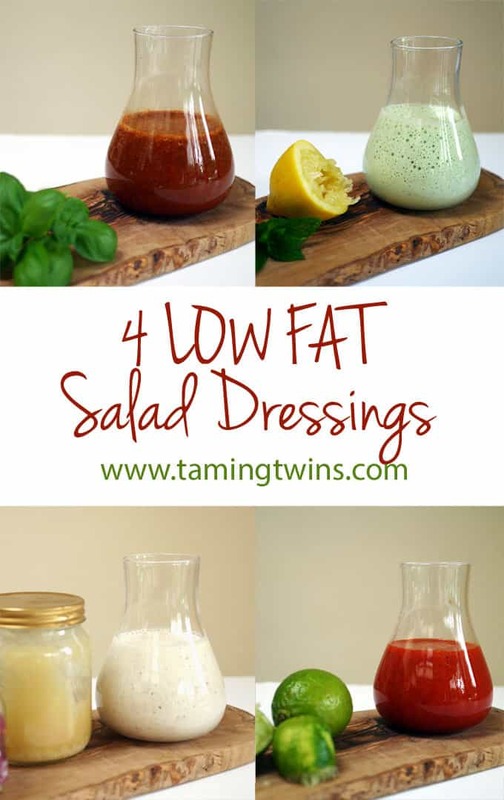 Lovely ideas for salad dressings – I agree, salads get a bit boring otherwise. I’ve had great success with Slimming World before, must get back on the wagon! Oh fab, another Slimming World convert! These have come at just the right time for me. Pinning to try them soon!